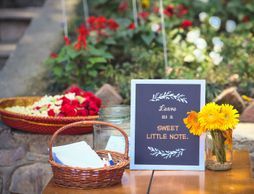 We love telling you about a cute wedding when we see one, especially when it's made even more special with some cool ideas that are totally inspirational! 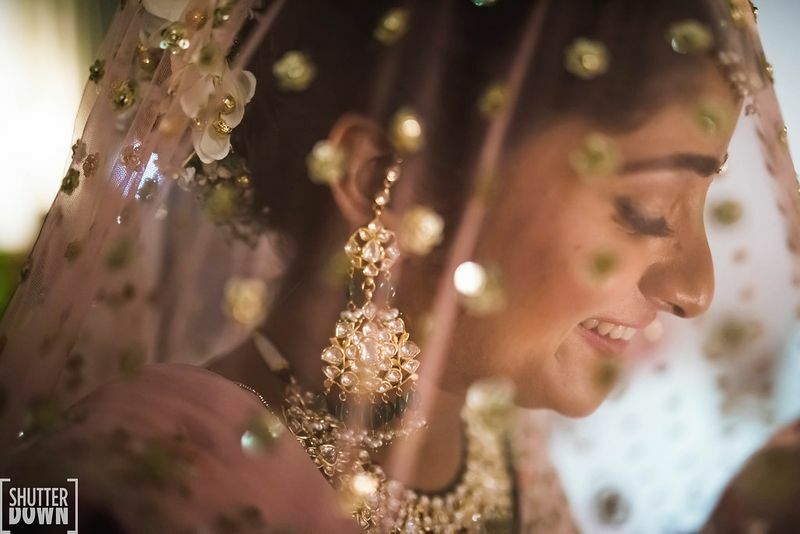 Yep, Deepika and Vaibhaw's wedding in Jaipur was sweet and simple, and we absolutely loved how intimate everything looked! Some totally steal-worthy ideas here, captured beautifully by Shutterdown - Lakshya Chawla★ 4.9 ! 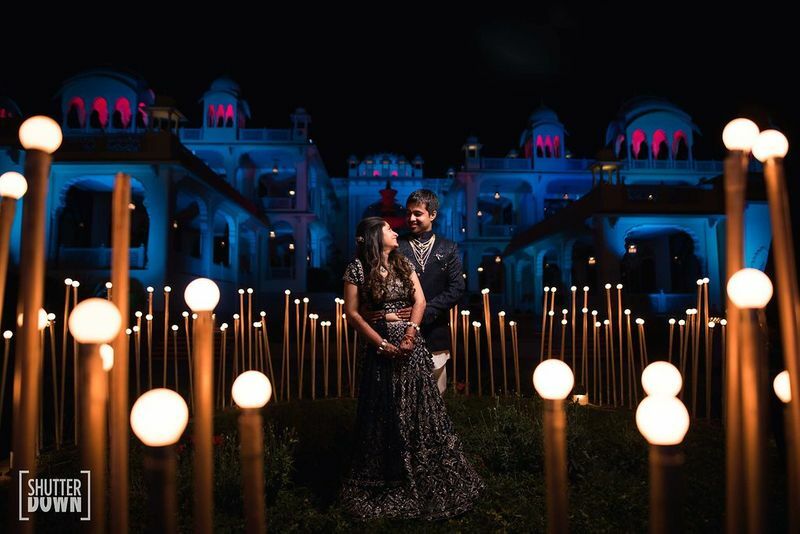 Here are all the amazing ideas we loved from their destination wedding in Jaipur! 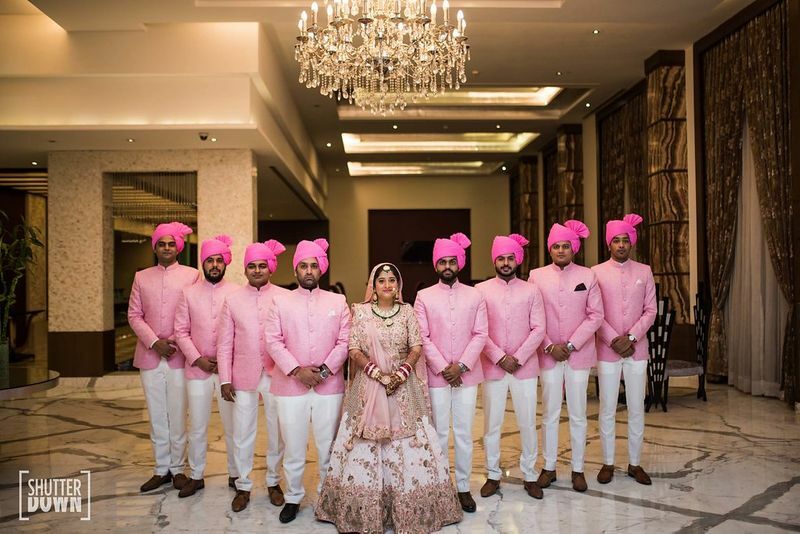 The bride's portraits with her coordinated bridesmen! Now how cute are these? We've been in love with them since we saw them! 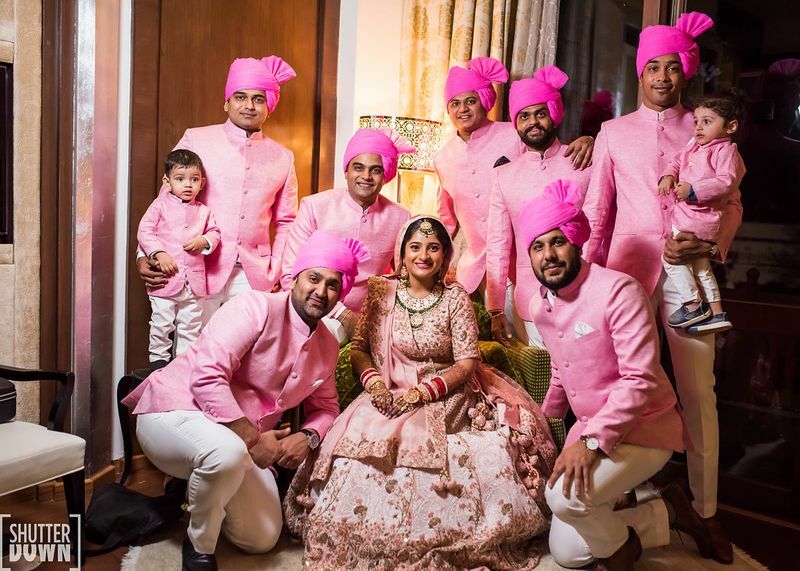 The bride and her childhood friends wore pink, and we love their perfectly coordinated outfits and all the stunning photos! 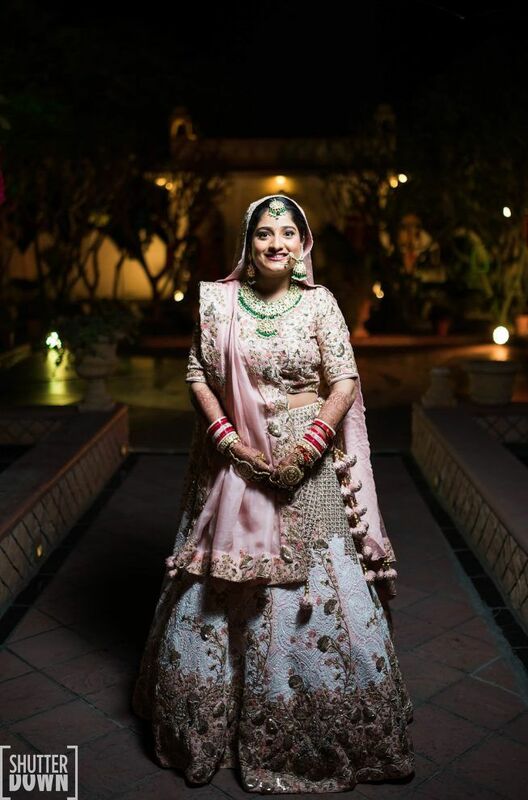 Now that is one gorgeous lehenga- shades of light pink with some pretty pink and gold embroidery- so offbeat but still looks so bridal! 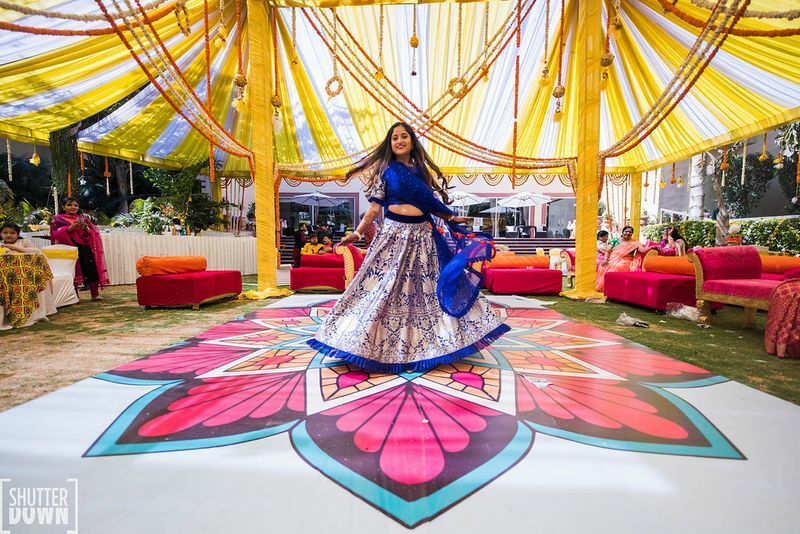 The bride reusing her mom's Benarasi lehenga for a smaller function! 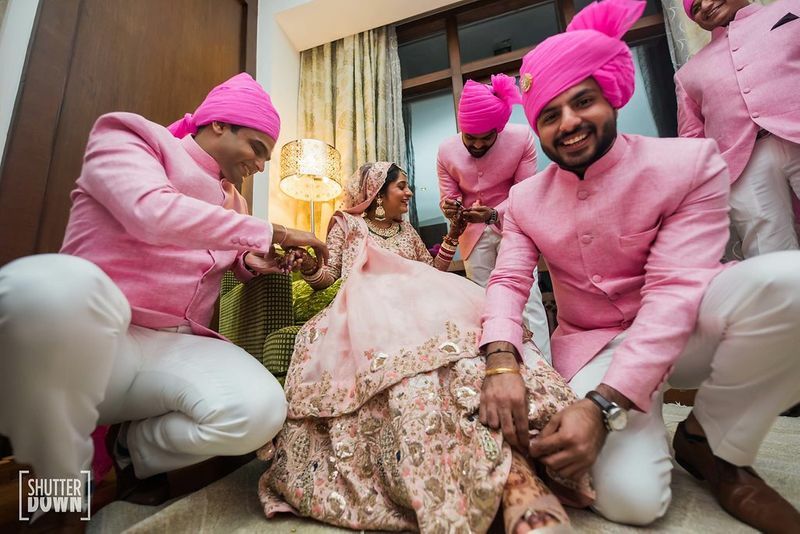 Yes, Deepika wore her mom's lehenga with some tweaks for her Mehendi! 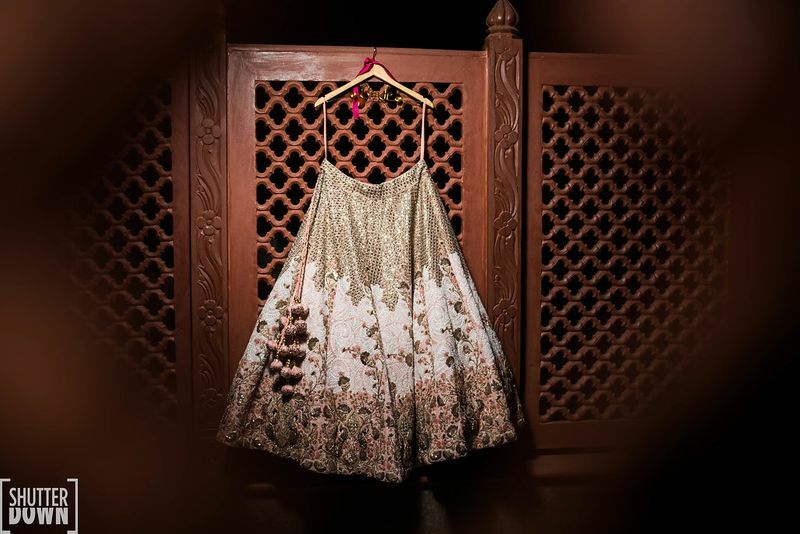 She got it redesigned by Urmila Sethia from Jaipur, and this just goes on to show how timeless Benarasi is! 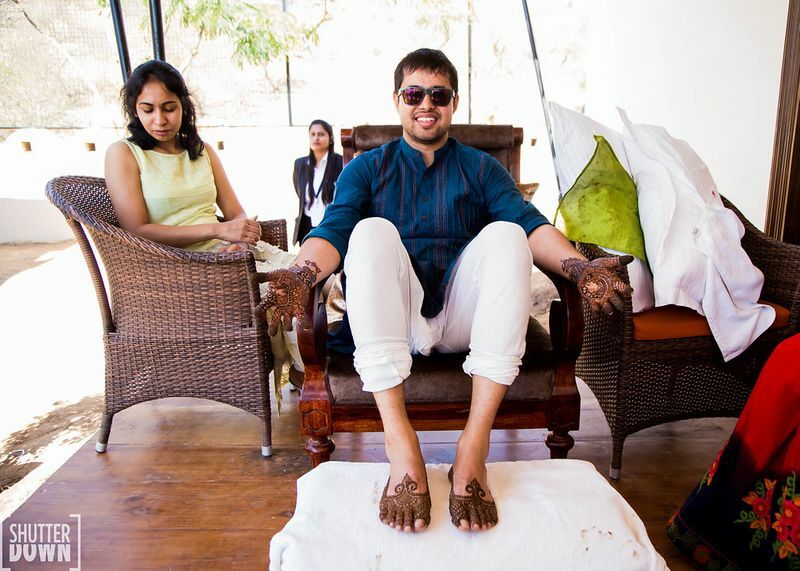 The fact that the groom got such elaborate mehendi- on the hands AND the feet! 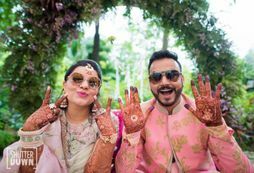 Yep, this groom went all out, and we love how elaborate his mehendi is- like full on bride style! 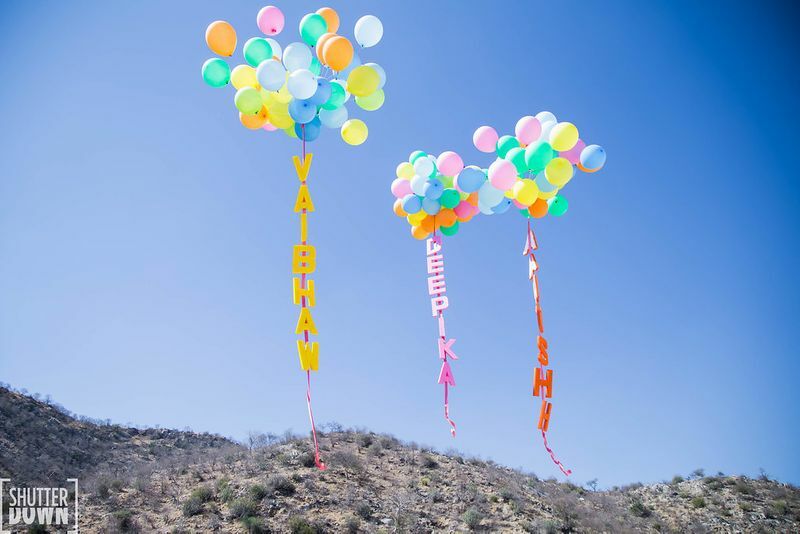 This cute send-off idea with personalised balloons! Awwwdorable, right? So nice, especially for the couple entry or exit! 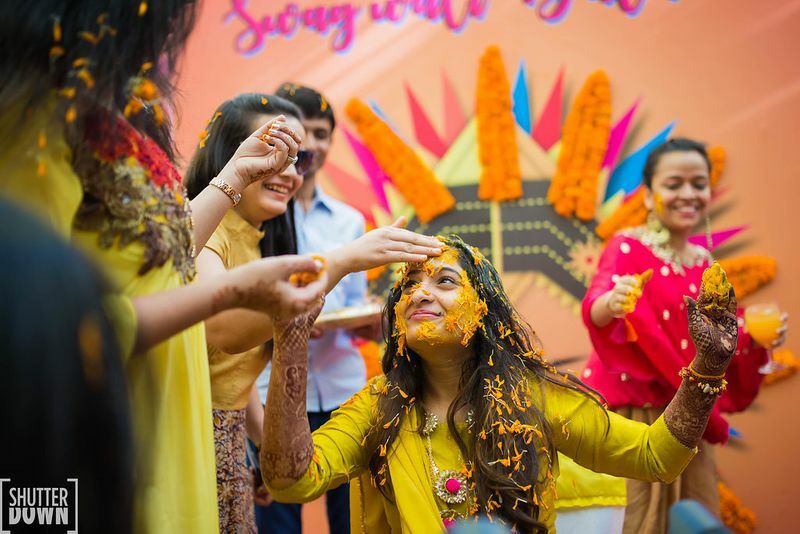 The super cute Haldi photobooth! Total Nucleya vibes from this one, but it's just so quirky and cool! Perfect for the Mehendi or the Haldi! 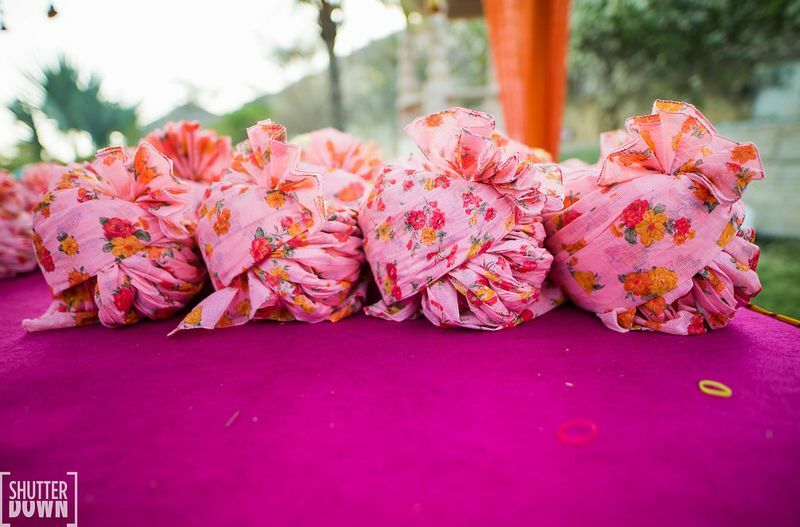 Pink and blue floral safas for the bride's and groom's side! 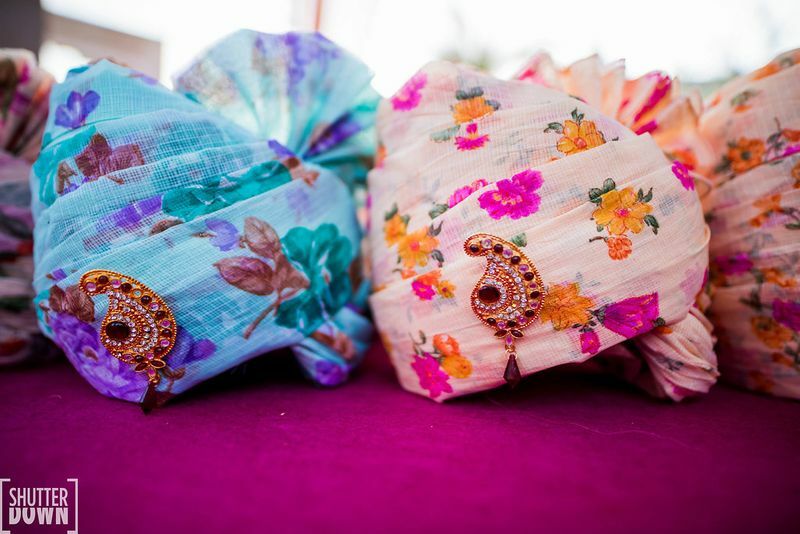 Floral safas for both the sides, but in different colours, so so cute! 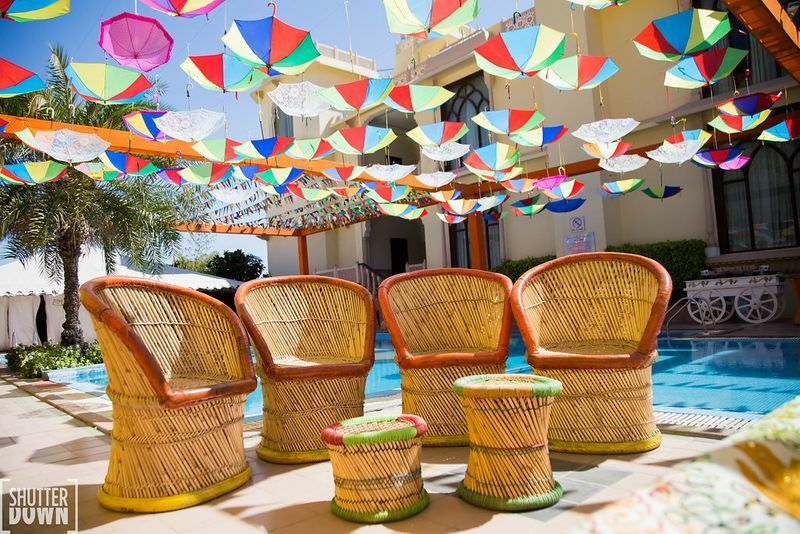 This parasol ceiling decor for the Mehendi! Hanging umbrellas are trending these days, and we love this alternative for the traditional tent decor! 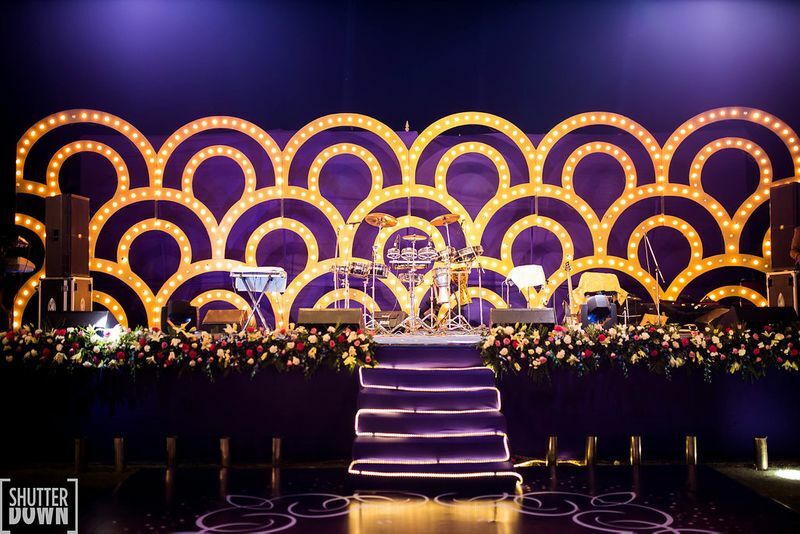 The concert-inspired stage decor for the Sangeet! 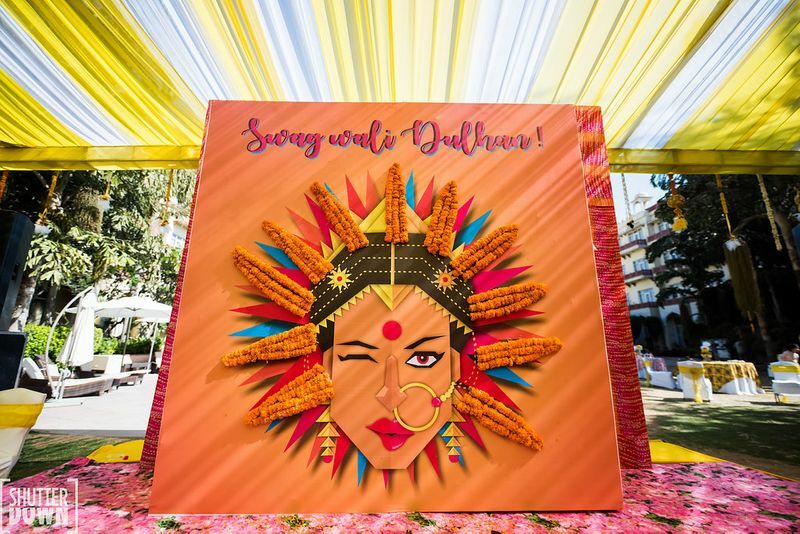 Now that is some stunning decor for the Sangeet! Gives major concert-type feels doesn't it? "I am from Surat & Vaibhaw is from Delhi, and we had an arranged marriage set up. We met in Mumbai with families & then spoke over the phone for few days & then we both said YES! We are complete opposite in nature & personality but we fit like hand & glove! Our wedding was everything that we ever imagined & dreamed of! 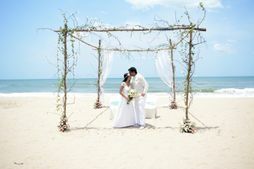 I am a wedding planner myself and had thought about so many ideas! 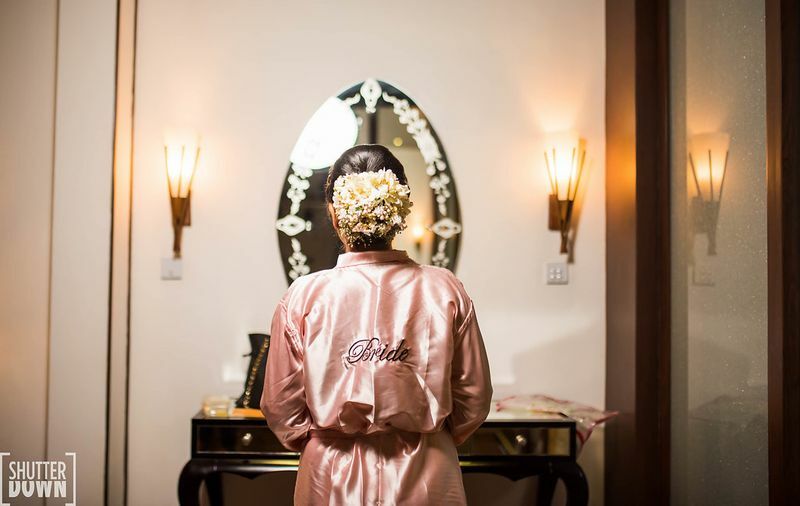 Obviously WedMeGood played a major role in all my planning, but the best part about the wedding was that I could keep my management role aside & enjoy to the fullest as the bride. 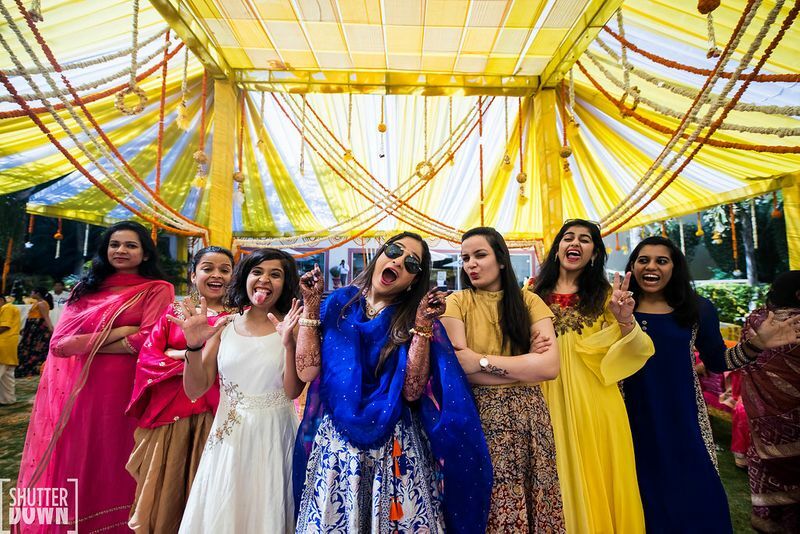 Vaibhaw and I had the most fun at our own wedding! 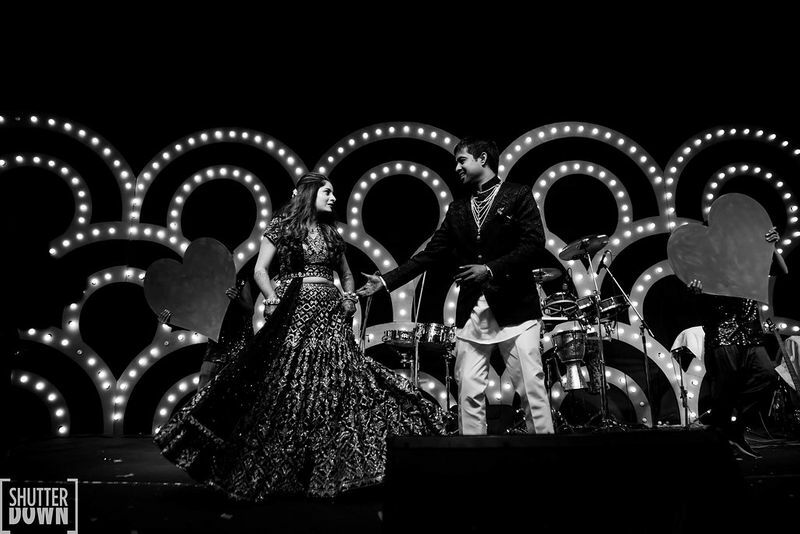 We were dancing all the time, smiling & having fun with friends & family around!" 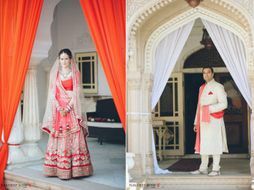 Planning a destination wedding in Jaipur was never this easy. Read on to know how!